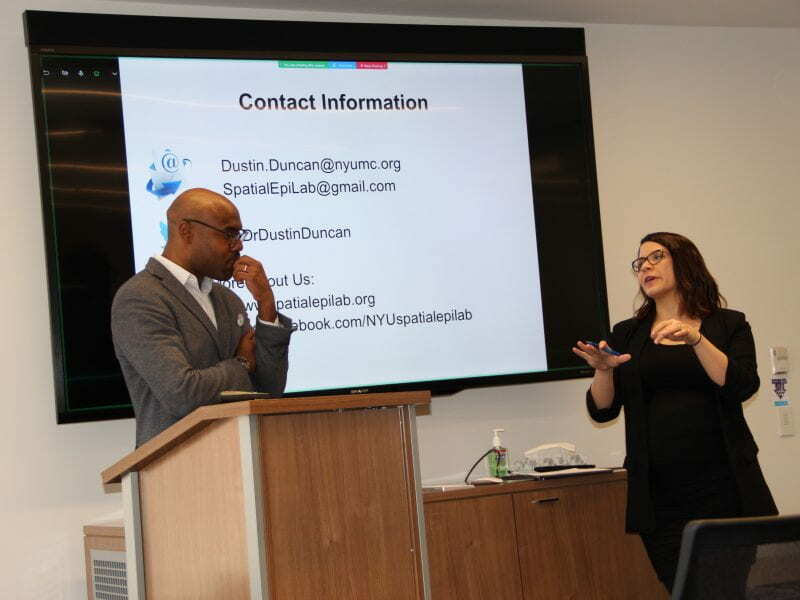 Dr. Dustin Duncan joined ISGMH on March 13th to present the tenth lecture in our Current Issues in LGBTQ Health series. Dr. Duncan discussed several of his research projects in a talk titled “Spatial Epidemiology of Health Disparities in LGBT Populations: What Do We Know and What’s Next?” His lecture emphasized the importance of examining the role social and environmental determinants of health play in shaping health disparities in SGM populations. 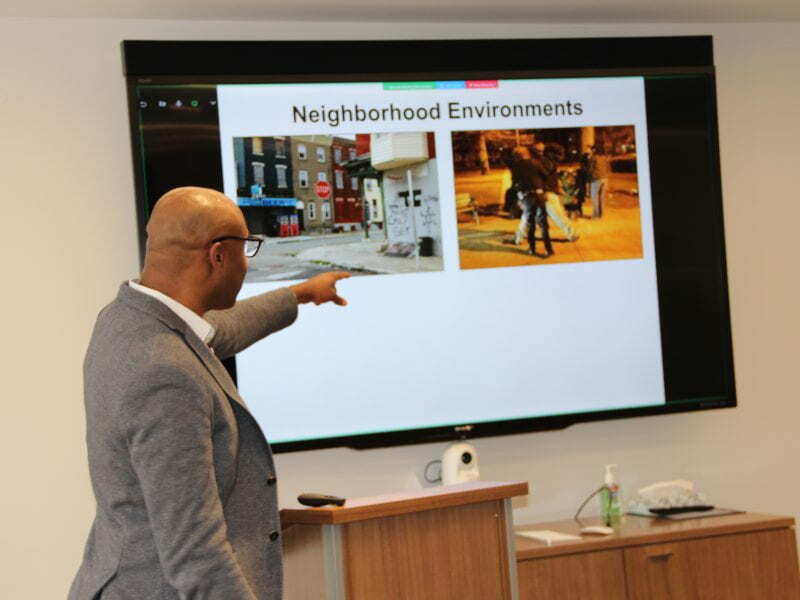 Dr. Duncan focused on the influence of neighborhoods on one’s health, and engaged the audience in discussions of how neighborhood characteristics can often be tied to health outcomes. 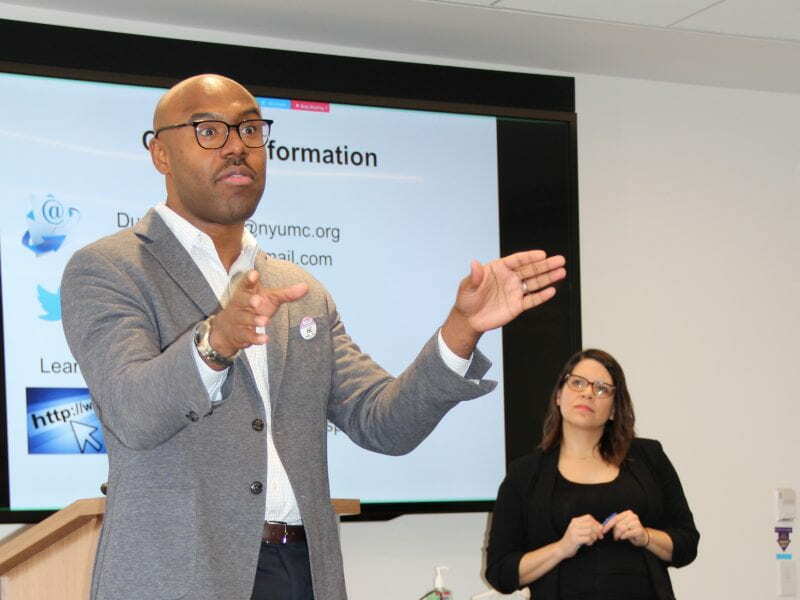 “When it comes to LGBT health and neighborhoods, I think there’s a lot more we need to know,” he concluded, before taking questions from the audience. A recording of Dr. Duncan’s talk and the resulting discussion can be viewed here. 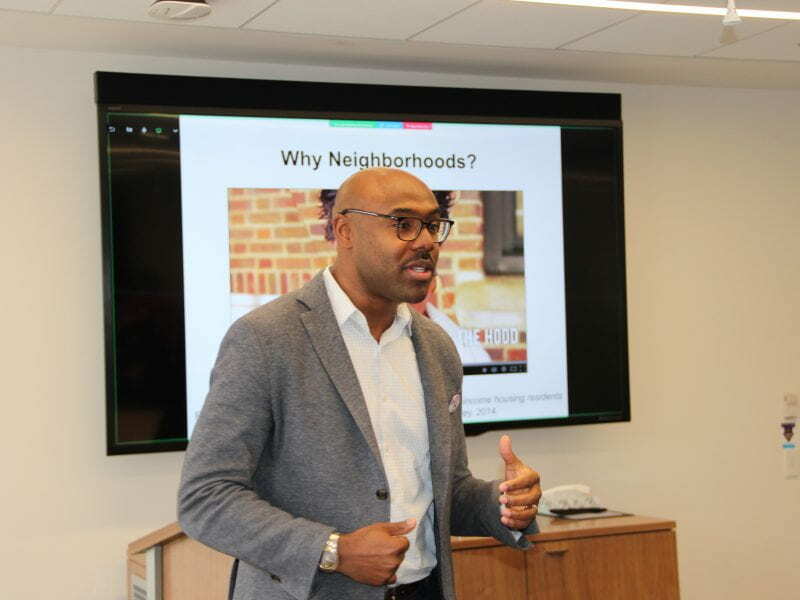 ISGMH would like to thank the CONNECT Program and Cells to Society (C2S): The Center on Social Disparities and Health for their co-sponsorship of this lecture. Read about our upcoming Current Issues in LGBTQ Health lectures here. Dr. Dustin Duncan speaks as moderator Dr. Michelle Birkett looks on. Dr. Dustin Duncan presenting in ISGMH's Current Issues in LGBTQ Health series. Dr. Michelle Birkett discusses network research with Dr. Dustin Duncan. This entry was posted in Current Issues in LGBTQ Health Lecture Series, News. Bookmark the permalink.